Keeping up on irrigation systems is key when maintaining residential landscaping. Checking your sprinkler systems seasonally will not only save you money but effort as well. Seasonal sprinkler checks, including winterizing irrigation systems in the fall, as well as checking and preparing your system again in the spring, should be part of your yearly routine. 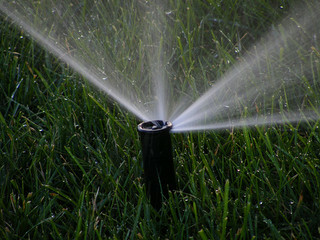 Irrigation used for landscaping uses more than 50 percent of the water compared to other utilities. When an irrigation system is not properly maintained, it cannot properly do its job, and in most cases, much of the water goes to waste. This results in water runoff and evaporation, which doesn’t allow the water to effectively reach the root system. Alternatively, if you over water, the water will unnecessarily reach below the root zone and can also cause damage to the vegetation. To avoid this, irrigation systems should be maintained at least twice seasonally. It should be checked when it’s first turned on and then again in the middle of the season, as well as monthly. If you suspect you might have a leak or have not checked your system for some time, it pays to call a professional. Seasonal irrigation checks will help you to reduce water consumption, save on your water utility bill, and prevent possible damage to your home and hardscaping due to underground leaks. AZ Sprinkler Is here to help you with all your irrigation needs.